East Stroudsburg University bestows his highest faculty honor, the Distinguished Professor Award, upon Professor Patricia Jersey for the outstanding service provided to students, faculty, and staff in need of library assistance since 1974. Far from contenting herself with a minimalist approach to problem solving, Prof. Jersey willingly goes the extra mile in helping faculty and students access the most relevant information with the least effort. Many patrons of Kemp Library have expressed their gratitude toward this librarian for her ability to accommodate the needs of everyone from the undergraduate writing his or her first research paper to the faculty member undertaking a more specialized project. Prof. Jersey treats them all with the same level of respect. Indeed faculty members have commended her for the excellent instruction she provides to their classes conducted in the library. Prof. Jersey has been an active leader and participant in university and community groups. The entire ESU community benefits from the professionalism and commitment of a librarian who sets the standard for excellence in her field. Prof. Jersey received her B.S. from West Virginia University and her M.L.S. from the University of Pittsburgh. 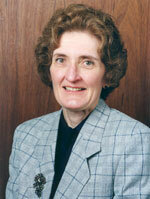 She holds a Certifican of Advanced Studies in Library Science from the University of Pittsburgh. 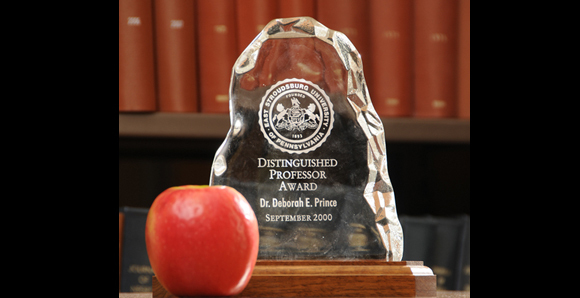 Professor Jersey retired from ESU in 2013 and was awarded Professor Emeritus status.